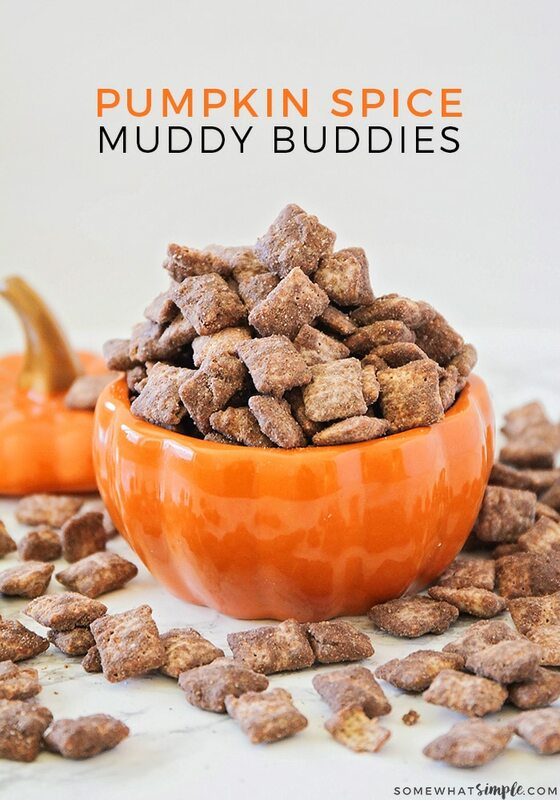 These delicious Muddy Buddies are made with Cookie Butter, chocolate, and a little pumpkin spice. 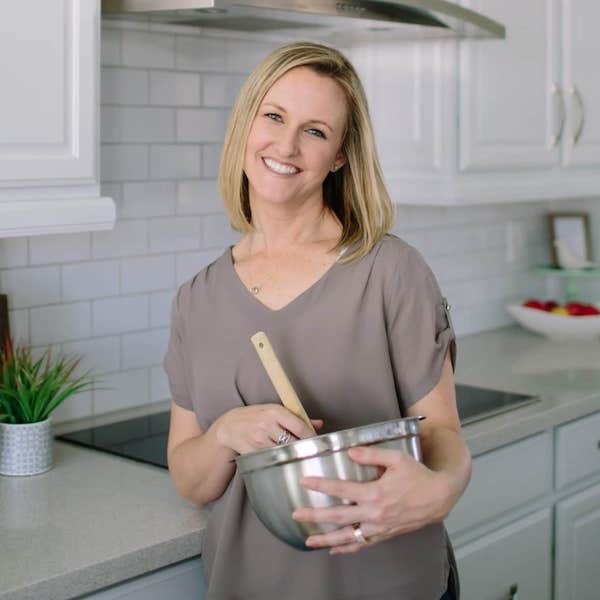 Your life is about to get a whole lot sweeter! 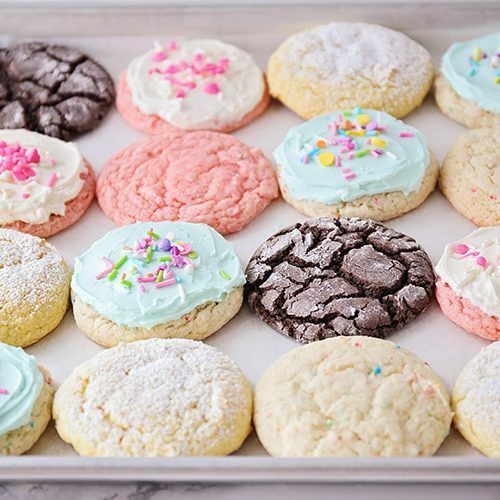 We’ve pretty much tried all the muddy buddies recipes around here – Original, Lemonade, Sugar Cookie Muddy Buddies and MORE! This Pumpkin Spice recipe is the one variation everyone in my house can eat… even those with nut allergies! 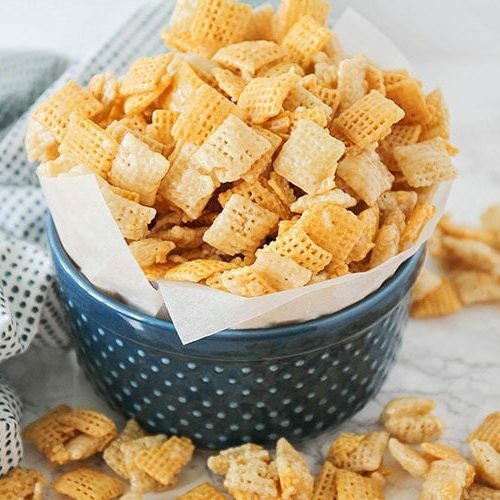 When I wanted to make Muddy Buddies the other day, I realized they were on the bad list because they are traditionally made with peanut butter. 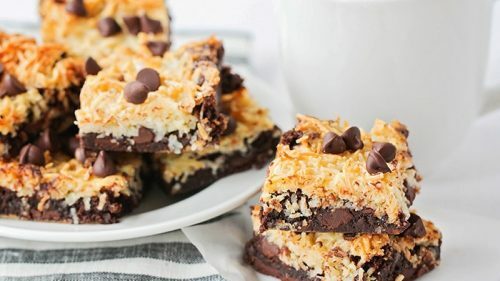 I started thinking of all the things I usually sub for peanut butter…cashew butter, almond butter, occasionally Nutella…all of which are a no-go. A day or two later, COOKIE butter popped into my head… PERFECT! 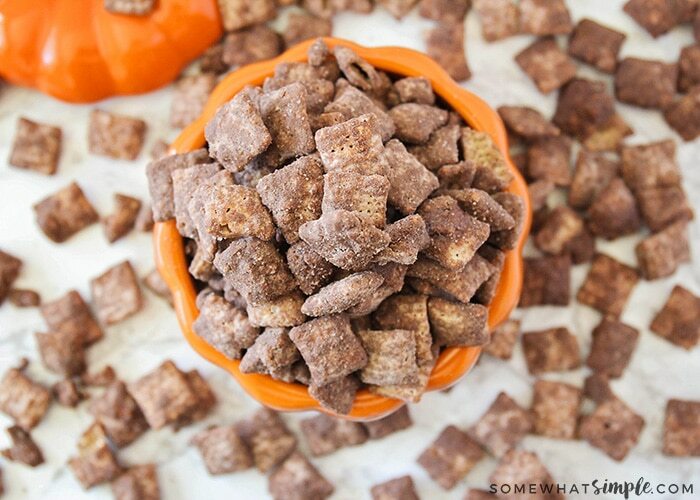 So I tried Cookie Butter Muddy Buddies and added a little pumpkin spice and extra chocolate thrown in, and life was suddenly a little sweeter. 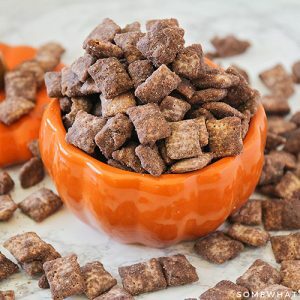 I haven’t made peanut butter muddy buddies with the pumpkin spice, but in my brain it’s amazing, so try that if you don’t have cookie butter! First, you’ll make your chocolate mixture by putting some chocolate chips, butter and cookie butter in a bowl. 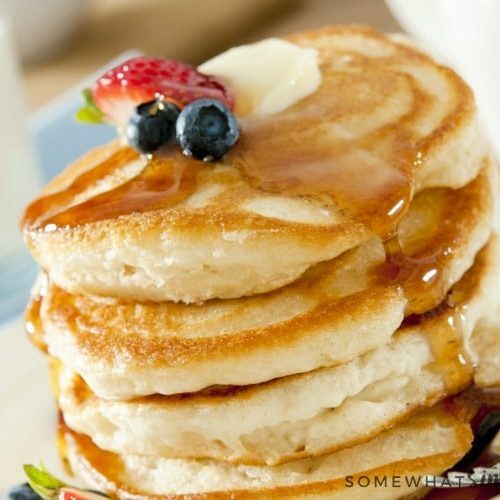 Microwave it for 1 minute, stir, and continue heating (if necessary) until smooth. 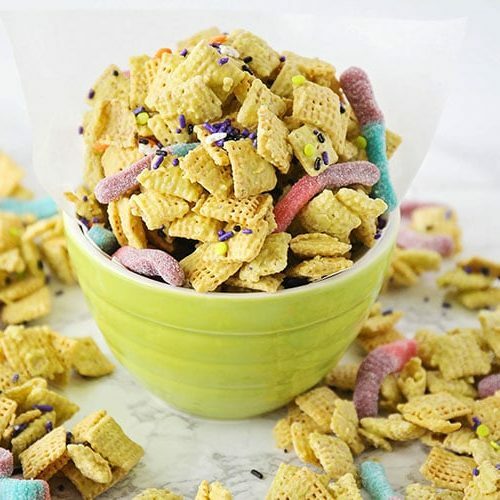 Add a bit of vanilla, then pour the mixture over a large bowl of Chex cereal. Stir until evenly coated. 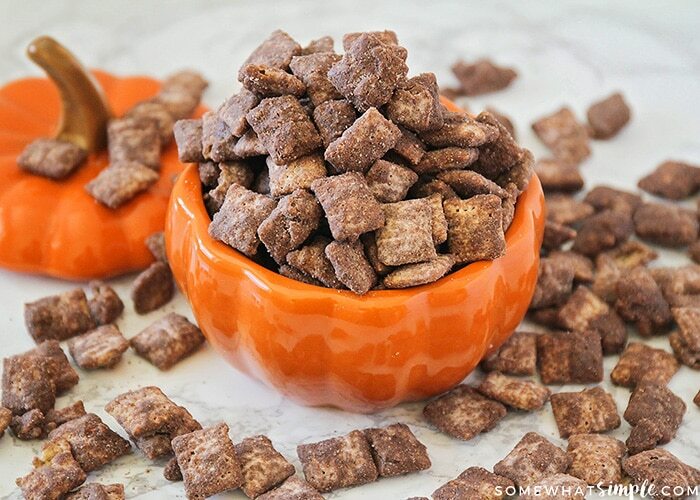 Put your chocolate-covered Chex cereal into a big ziplock bag, then add some brownie mix and pumpkin spice. Shake to coat well. Spread onto a silicone mat or parchment paper to cool. 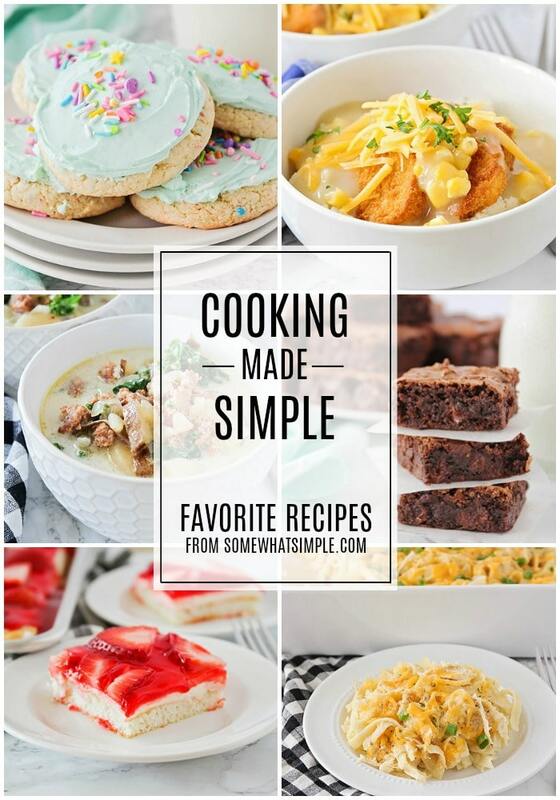 So easy and so DELICIOUS!!!! Add chocolate chips, cookie butter and butter to a microwave-safe bowl. Heat for 1 minute and stir. Heat for another 30 seconds, if necessary, until mixture is smooth. Stir in vanilla. 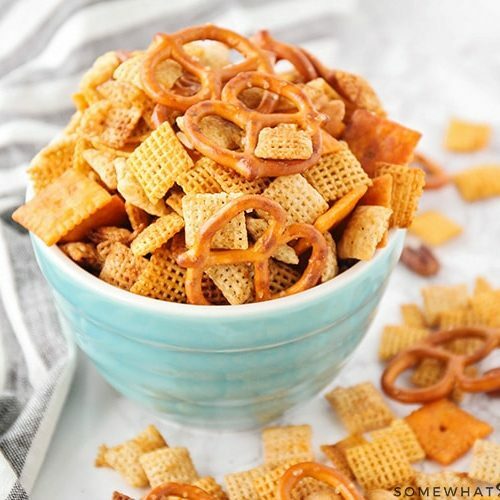 Place cereal in a large bowl. 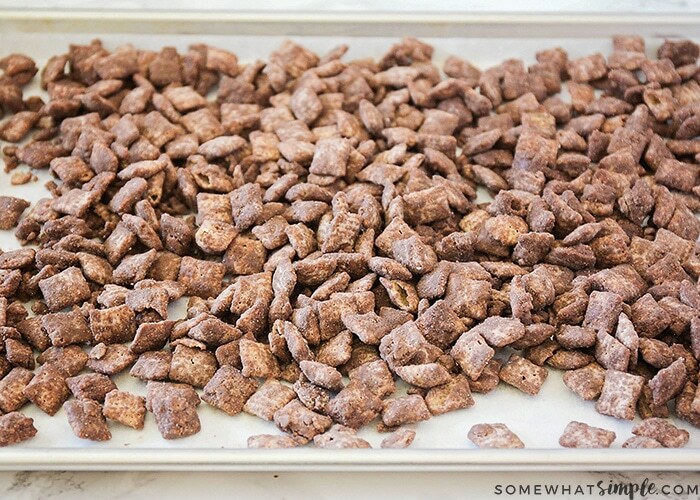 Pour the chocolate mixture evenly over the cereal, gently stirring until evenly coated. 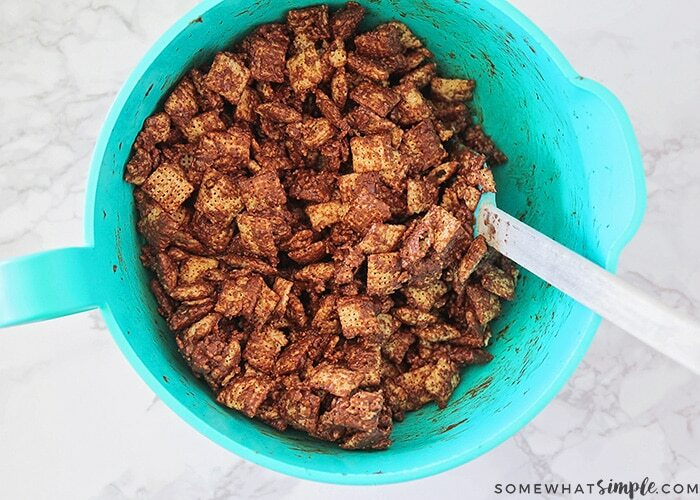 Combine the brownie mix and pumpkin pie spice, set aside. Divide in half. 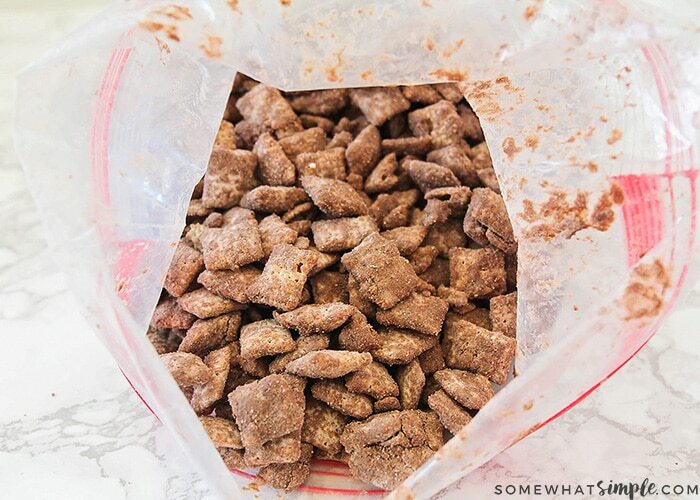 Add half of the cereal mixture to a gallon-size zip top plastic bag. Add the spiced brownie mix and shake until well coated. Spread on a silicone mat to cool (parchment or wax paper work as well). I prefer the Trader Joe's cookie butter to the Lotus cookie butter. They are very similar and either will work great, but TJ's just tastes better to me. And it's cheaper (at least where I live). Winning! 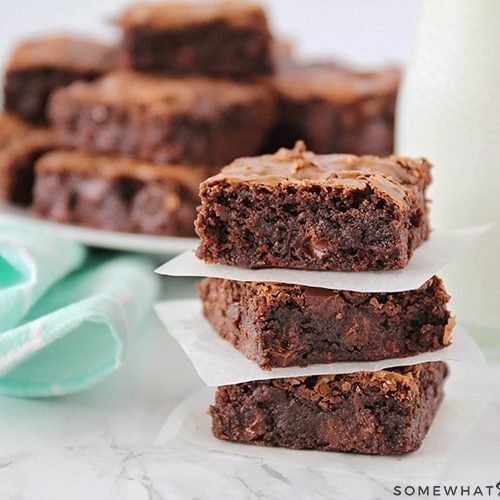 I happened to have some leftover brownie mix from another recipe I was working on, so I used that instead of powdered sugar. It's good both ways...we've tried! If you have a 2-gallon size bag, you can coat the cereal all at once. I never have that size on-hand, so I always just divide in half and repeat.